Kaskad Midnight Blue Pendant Lamp. 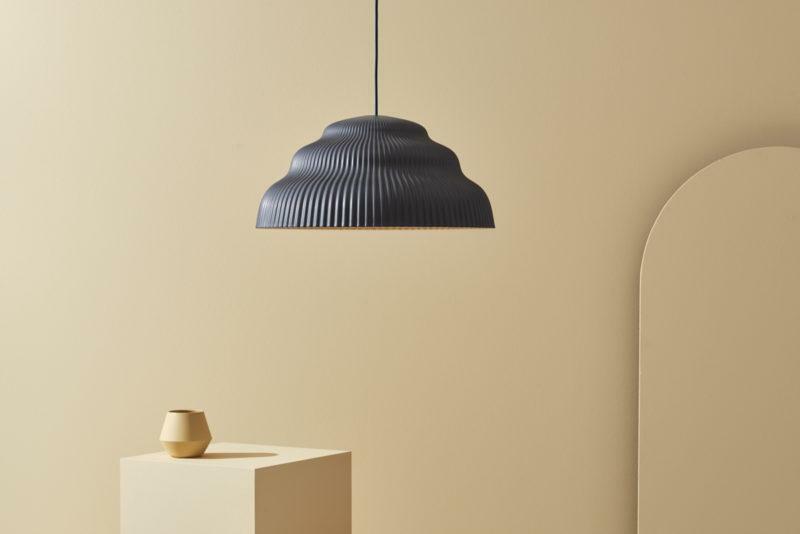 Made of ceramic in light tones, each pendant lamp is hand manufactured by a ceramic master craftsman in a small traditional workshop in Germany. His exceptional skill and more than 10 individual processes are required to perfect Kaskad with its fine matt glaze. The lamp comes in three extraordinary and stunning color choices: ‘Soft Mint’, ‘Blush’, and ‘Midnight Blue’. The bold rounded shapes are referencing to the flowing water of a cascade. An impression which is emphasised by the vivid waves that define the cast of the lampshade and its exciting personality. The dynamic between the unexpected materiality and superb workmanship, with its clear and linear expression, gives this interpretation of an archetypal suspension lamp its unique character. 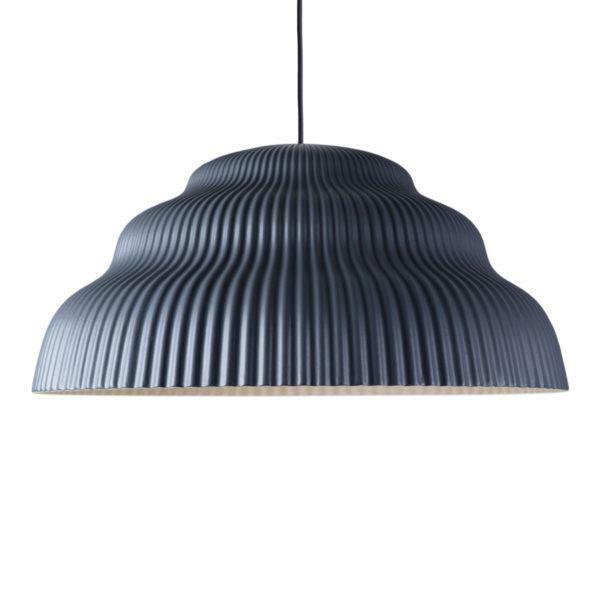 Available in 2 sizes and with a choice of colour fabric cable and ceiling rose. Please select from the drop down menu. Comes with 3mtr Fabric cable. Max 60w or 10w LED.